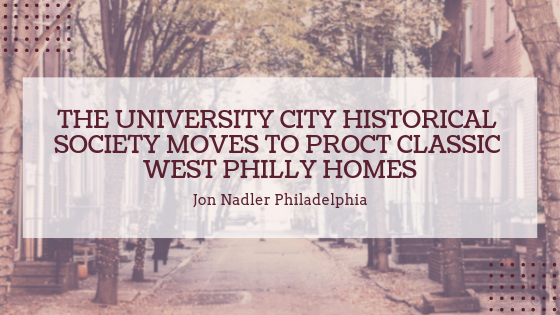 The University City Historical Society has officially applied to Philadelphia’s Historical Commission, a group dedicated to preserving and protecting historically significant homes, buildings, and sites. Experts have indicated that this application is a major step towards protecting a collection of more than 40 homes in the West Philly area, most of which are located around Clark Park. The homes in-question were built in the 1800s, and for roughly two centuries, they’ve been a symbol of classic Pennsylvania architecture. While the ideas and inspirations of their chief architect, Willis G. Hale, belong to past, construction projects in Western Philadelphia are more common than they’ve been in several decades. Recent years have seen a substantial number of classical buildings and homes demolished so that other structures can be erected. The University City Historical Society’s haste to preserve these and other homes has largely resulted from this uptick in demolition and building. Should the intended protection measures be granted to the homes, demolition limits would be put in place, homeowners would be unable to make renovations, repairs, and additions that compromise the initial architectural style (as determined by the Historical Society), and new construction projects in the area would have to be approved by the Society, so as to verify that they don’t pose a threat to classical homes. Before these protection measures can be made official, the University City Historical Society will need to appear before and receive approval from the Historical Commission. A preliminary meeting between the Society and the Commission is scheduled for 17 April, and provided that these talks are positive (which experts expect them to be), a full meeting on 10 May will definitively settle the request for the homes’ protection. Some local residents support the initiative, believing that it will help to preserve important parts of Philadelphia’s—and architecture’s—past for future generations. Other local residents aren’t quite on board, and they’ve essentially said that the economic byproducts of modern construction and design outweigh the significance of historical preservation. Both of these arguments will impact the Historical Commission’s verdict, which is once again scheduled to be made on 10 May. This hearing and the preliminary meeting will begin at 9:30 in the morning. 1515 Arch Street’s Room 18-029 serves as the location of all the Historical Commission’s meetings. Jon Nadler is an exceptionally talented attorney based in Philadelphia. He has seen great success in defending clients in cases of workplace-related issues like hiring, discharging, discipline, drug-testing, reductions-in-force, and compliance to ADA and FMLA. However, Jon gets the most satisfaction out of immersing himself in new cultures through traveling the globe, focusing on wellness, and overall striving to improve his lifestyle. To learn more about Jon Nadler and his ventures in health and wellness, be sure to visit his website!